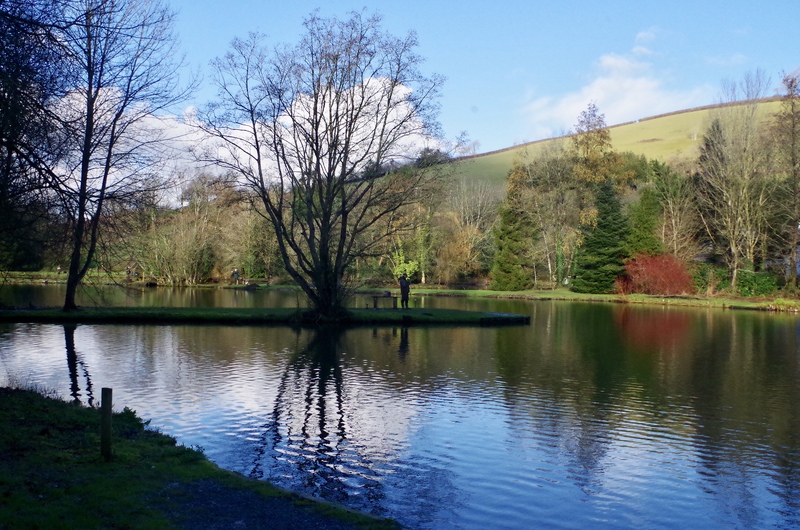 Wistlandpound Flyfishing Club members visited Blakewell Fishery for the final leg of their winter challenge series and all members successfully completed their three fish bags within a couple of hours. The water was still crystal clear despite heavy overnight rain as the inlet had been diverted to maintain good water clarity. 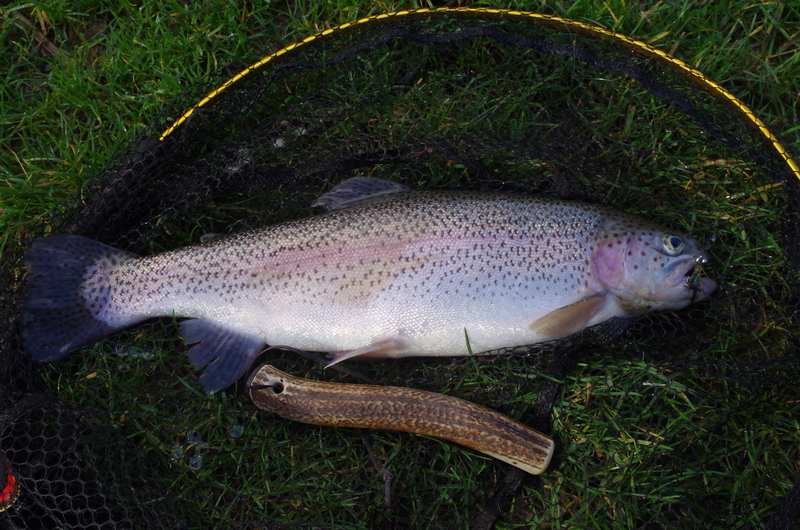 My first trout of the day was a fine rainbow of around 3lb 8oz that gave a great account in the cold water. 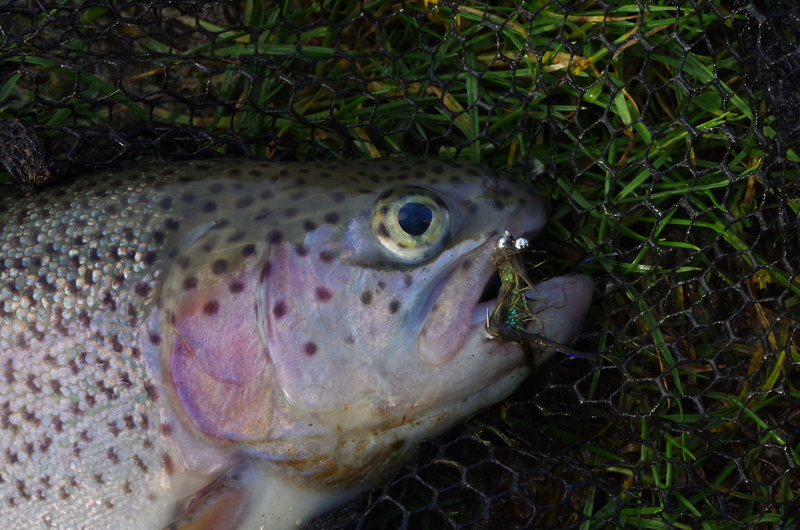 The fish was tempted using my favourite winter Stillwater fly the olive damsel. 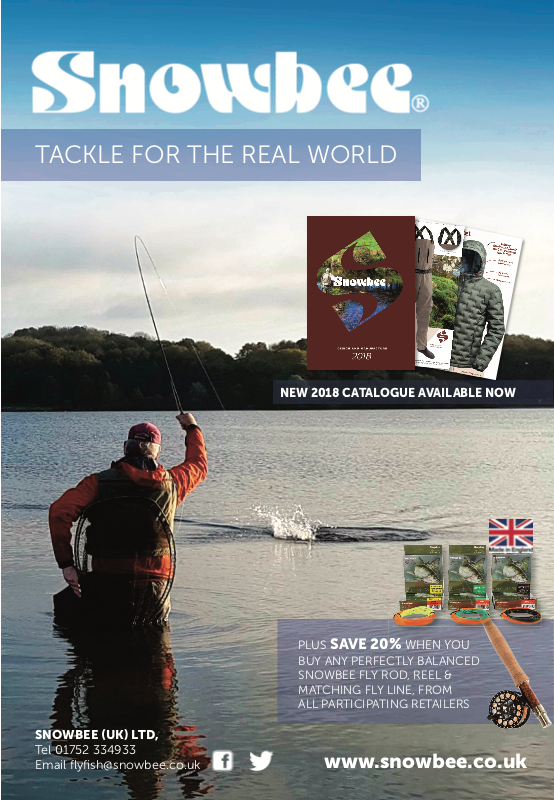 This pattern always seems to work well sinking quickly due to its chain eyes with its long marabou tail fluttering enticingly with a slow erratic retrieve. After catching my first trout quickly I decided to wonder around the lake a little and take in the scenery a little. I was pleased to see that frogs had been busy spawning in a small pool adjacent to the lake. Signs of spring were in fact all around if you took a moment to look around with daffodils well advanced and green buds on the hawthorns along the path to the fishery. 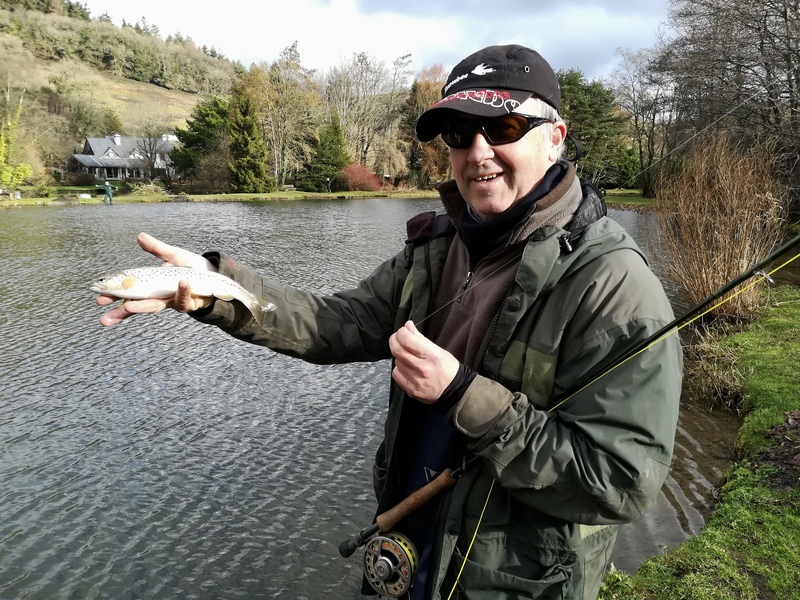 Dennis Toleman from the Triple Hook Club had elected to take a walk around the lake and as we chatted a small wild brown trout seized my fly and was captured on Dennis’s phone before being slipped back into the water. As we chatted I missed couple of pulls but soon added a brace of rainbows to my first fish. As a dark cloud threatened we walked back to join fellow club members who had by now all caught their bags. We strolled back to the fishery weigh station to see who had won this heat of he winter challenge. 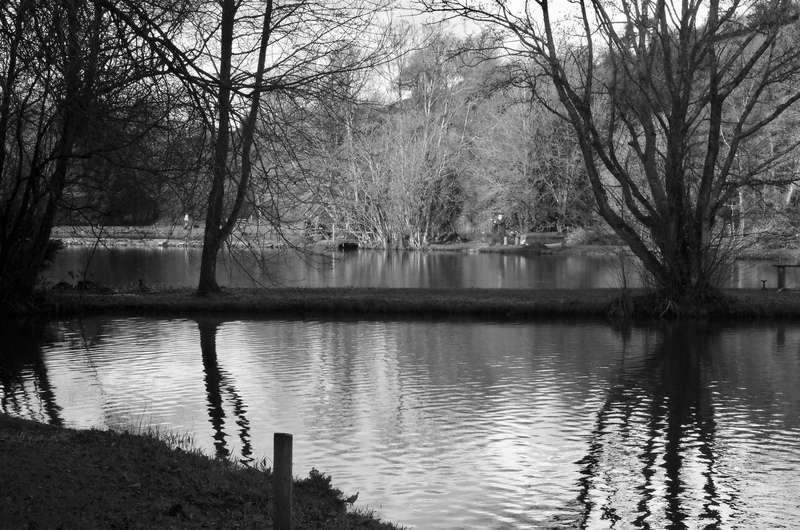 The winner of the Winter Challenge was Dave Richards with 23lb 2oz, runner up Colin Combe with 22lb 8oz and third Wayne Thomas with 21lb 7oz. 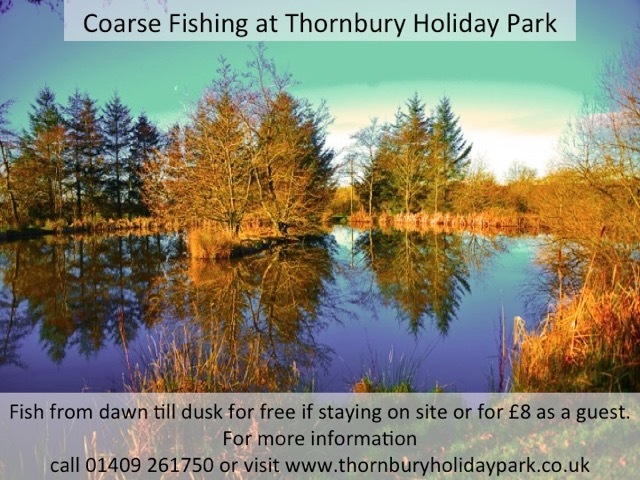 Paul Grisley was forth with 21lb 4oz and fifth Nigel Bird with 20lb 6oz. After fishing I enjoyed a fresh cup of coffee with John Nickell who shared exciting prospects for the coming spring. 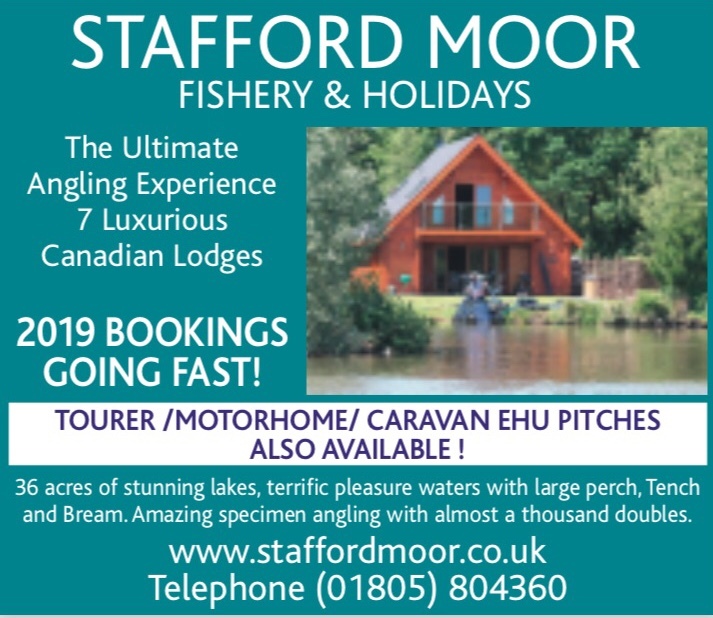 After a difficult season in 2018 due to the exceptionally hot summer plans are in place for 2019.John tells me stock fish are now growing well with plenty of good sized rainbow and brown trout coming along for stocking in early spring. In addition they will be stocking with sparctic trout a cross between brook trout and Arctic char. They are also planning to stock tiger trout a cross between brook trout and brown trout both species are obtained from Torre Trout Farms. I was also tempted with some superb smoked salmon to try later in the day beside a roaring log fire. 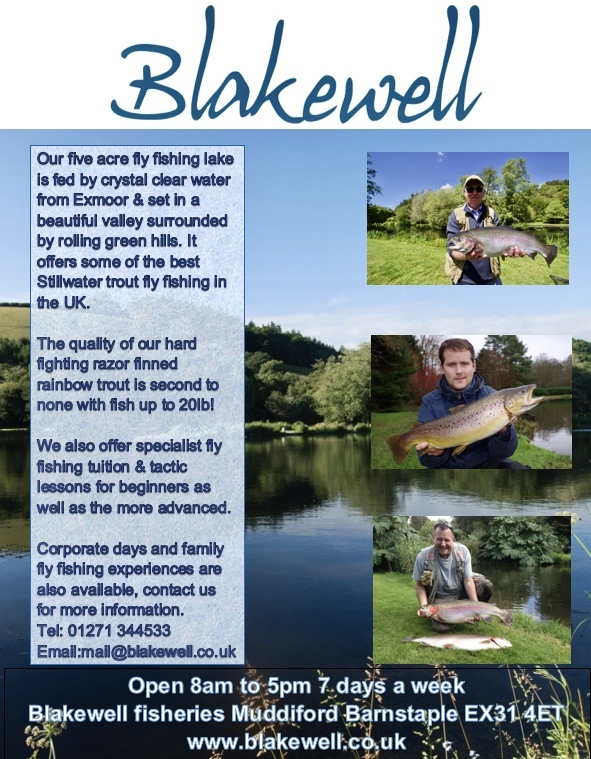 Blakewell smoke their own grown trout and organic salmon that taste far superior to mass produced products bought at the supermarket. 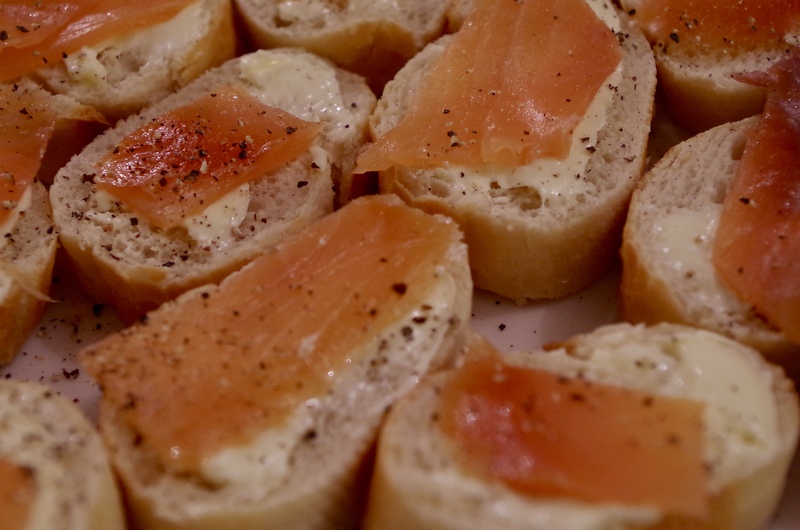 Organic smoked salmon on a fresh baguette with just a dusting of black pepper -Perfect!